Introduction: Well... the title was intriguing enough to make me pick up this book and take it home. 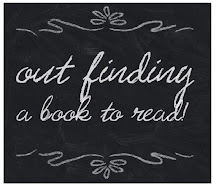 Honestly, this book is one of a kind... its not an easy read compared to the ones I would normally choose... and it took me a while before I was able to fully immerse myself into the story. But well... it was worth it. Overview: Welcome to Edenfield, an English village in Sussex. It is home to rich and poor, young and old, incomers and folk who've lived there for ever. Among the incomers is mother of two Laura, who, twenty years on, is still pining for Nick, her first love at university. He dumped her, broke her heart, and went to live in the States. Now he's back. Her husband Henry is a TV writer who commutes daily and resents the lack of acknowledgment his latest TV series is receiving. Journalist Liz, the single mother (who Henry lusts after on the train to London), still sleeps with her ex ten years after they split and hates herself afterwards. Local schoolmaster Alan, teaches their children and gets endless rejections for the plays he writes in his spare time. Martin, the struggling farmer, can't bear the yummy mummies and their privileged children; and the kindly local vicar hides a dark secret. These characters - and more - are richly imagined by an author of immense talent whose voice is by turns witty, waspish, sharply observant, and achingly tender. 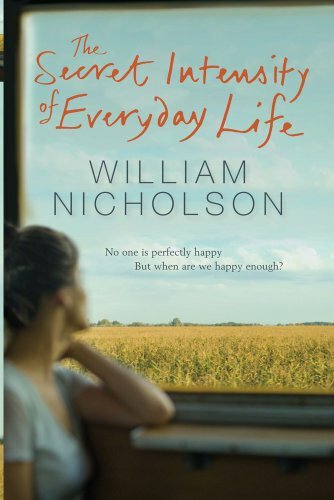 Nicholson brings together seamlessly the many strands of his story. Readers will empathize with these characters, laugh at them, cry with them, and long for a good outcome for each of them. My Opinion: Shamefully, It took me 5 days to complete reading the story. Probably because I was too tired with all the events the past days, and every sentence Nicholson writes is filled with wit that you can't bear to simply skim through paragraphs. But in the end... all I can say is that every minute I took a break from my busy life to read this book... it was all worth it. The story starts with Laura, married to Henry, mother of two children, getting a letter from Nick, the former love of her life. Each decision she then makes has a ripple effect on all those she comes into contact with.We hear from Laura's husband, her children, her employer, and more. Although honestly, with the diverse characters each telling their own life story of despair, frustrations and love interests... it can get a bit confusing and difficult to track who is who.So concentration is essential and reading it in a rush wont give justice to this masterpiece. I guess the main thing that I realized in this story... is that people may seem to think that we deserve a life far better or far different from the ones we are living now. We continuously hope for another chance to change things... to change our lives completely... but in the end... would we really? But I guess this is what makes us human... our search for happiness portrayed in that lingering question we always ask ourselves... are we happy now? And how happy should we be?